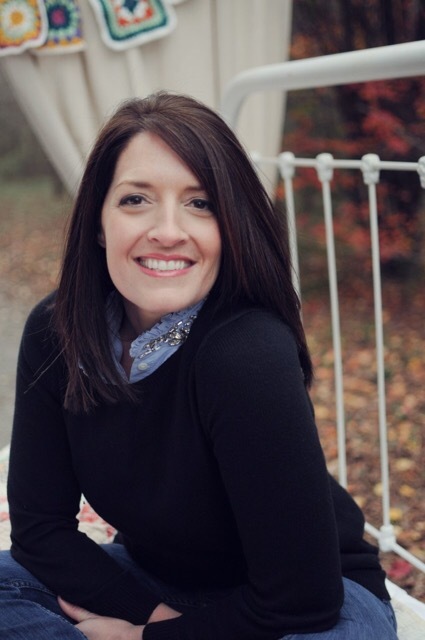 Courtney DeFeo joins us as the final guest of the March Author Series. Each author in this series has shared the heart of a new book; books ranging from those only available for preorder to books released in the past year. 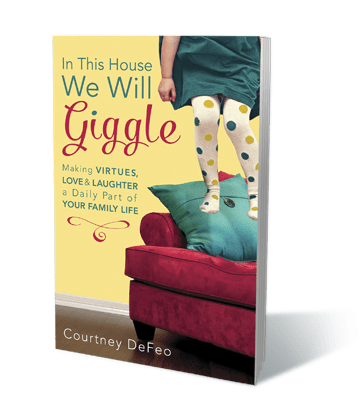 Sweet friends, you will adore Courtney DeFeo’s book, In This House, We Will Giggle: Making Virtues, Love, and Laughter a Daily Part of Your Family Life. It is my honor to welcome Courtney to my little blog home today! One day, I did the dreaded afternoon grocery store run with my two kids. It was around 4:00 pm and I had no idea what was for dinner. And because I clearly like to torture myself, I took two hungry kids to Publix to pick out dinner. How many times do I have to learn this is a bad time to shop? This story is actually a good one. As three cranky humans entered the grocery store, I noticed an elderly woman struggling to get two grocery carts separated. I jumped over quickly and separated the two carts for her and then gave her a sincere smile and wished her a great day. As I turned back around, my cranky kids had transformed. They were not moving or speaking or whining. They were smiling. And Ella, gave me this nod-smile combo. It was her look of approval. At such a small age, she realized that mom made a great choice – a small gesture that lit up the heart of another human in our path. We want to be a light for Jesus wherever we go. We want to use our time, talents, energy, money and everything we’ve got to glorify Him. We want to be on the lookout for others’ needs far above our own needs. That is my utmost desire for our family, but if I’m honest – it’s hard to do. Life gets in the way. My kids’ needs get loud. My selfish desires get in the way. Just getting kids fed and in the bed seems almost impossible some days. So, how in the world can we do it? How do we shine a light for God when we often don’t feel we are enough? I had these same questions and then I made a decision to just to do it – as we went about life. I was determined to find a way to “shine our lights” as we went through our communities. 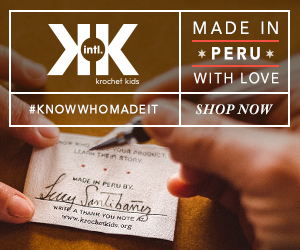 And make it a part of who we are – not just what we do. 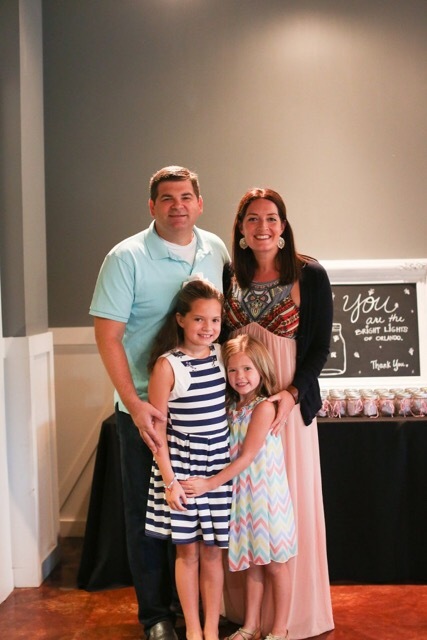 Over the last several years, our family has fallen in love with shining God’s light and finding ways to share simple ideas with other families much like ours. The best part? 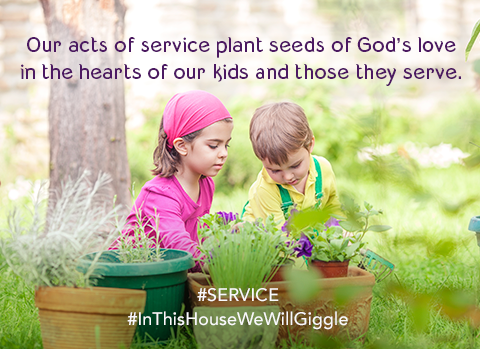 I am watching virtues and values like generosity and service become engrained in my children not through lectures, but through heartfelt experiences. They are getting a vision of real faith. You have what it takes to be a light – right where you are. You don’t have to change anything. As you go about your life, you and your family can impact so many right around you. Just pray that God will reveal the needs and invite your children to participate. Whether working from home or at home. Whether two kids or eight kids, homeschool or public – it just doesn’t matter. God has crafted us all very capable. If we take just a second to look up from ourselves, we will see everyone is in need. And I’ve come to experience it has very little to do with our ability anyway – it’s about being willing to deliver his message to his people in his timing. Just a warning… as you start out to “light up” and help others, your hearts will be the ones transformed most of all. 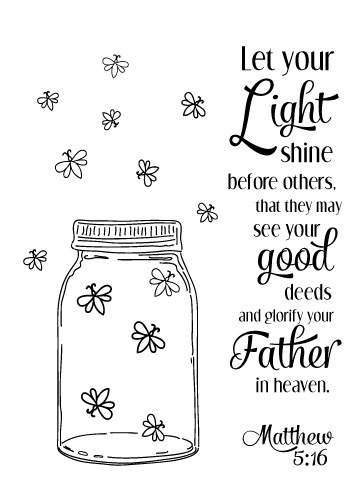 Here’s a little free printable you can have today! Download here. 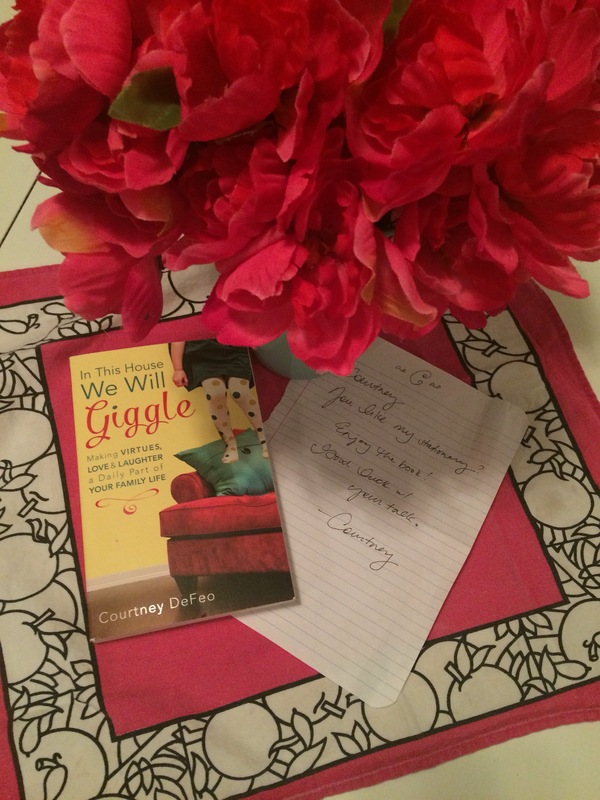 Courtney DeFeo believes our families can light up the world. As a former marketing professional, she lives in a constant brainstorm with herself and suspects it’s the route of her migraines. She loves watching Jesus at work. She is the creator of Lil Light O’ Mine- a small business that empowers moms and changes little lives through innovation in the home. 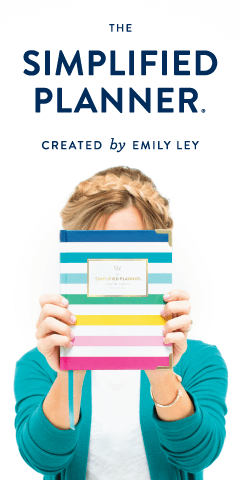 Some of her most notable creations are Ella (age 9), Larson (age 6), ABC Scripture Cards, #LightEmUpActs and In This House, We Will Giggle: Making Virtues, Love, and Laughter a Daily Part of Your Family Life. Her house is a wreck and she hates to cook. A graduate of Auburn University, she adores her hot, Georgia Bulldog husband. She posts entirely too many photos of her animated girls on Instagram. Connect with Courtney anytime at CourtneyDeFeo.com. As a mom in the throes of parenting, Courtney DeFeo believes that instilling virtues in children starts with laughter, not lecture. That perspective propelled her to create this idea-packed book, in which she offers motivating reflections, real-life stories, and a sandbox full of inventive ways to help you turn your kids’ hearts toward God. 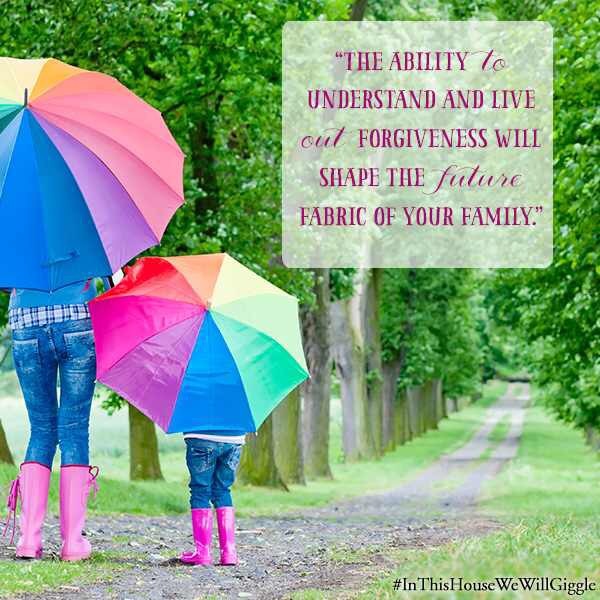 Each chapter focuses on one virtue that is key for developing your child’s character. Along with insights into how this virtue plays out in the nitty-gritty of life, Courtney includes a memory verse, activity ideas, and discussion questions to reinforce that virtue throughout the month. 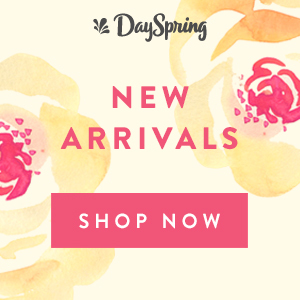 Here you’ll find a full year of ways to draw your children closer to God through delightful antics like Family Olympics, One Fancy Feast, and Light ’Em Up.